The workshop will take place close to the Marseille beaches at the hotel Villa Massalia, 17 Place Louis Bonnefon, 13008 Marseille. The hotel can be easily reached using the RTM public transportation network : from the main rail station "Gare Saint Charles" * : Take the subway line 2 (in direction of St Marguerite Dromel), get off at the Rond point du Prado station. Then take the bus line 44 in direction of "Floralia Rimet". 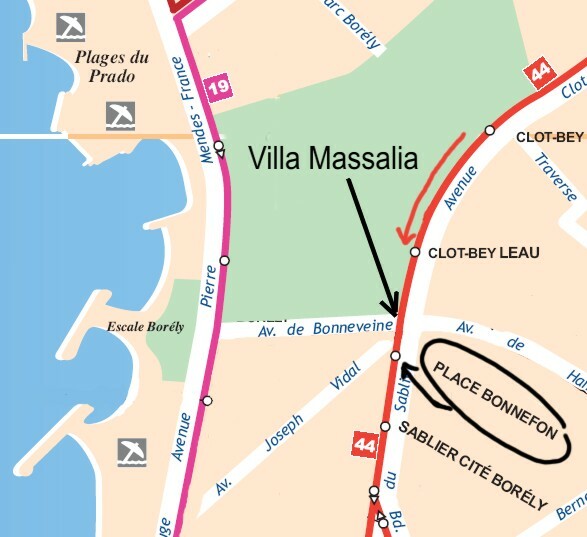 The stop Place Bonnefon is close to the hotel (see map). A general map of the RTM network is available here. NanoBioPhotonics is a growing research field at a strategic crossroad where physics, chemistry, nanotechnology and life sciences meet together. These interacting areas provide a multi-disciplinary background as well as timely motivations for the development of advanced imaging of biological systems at ultimate time and space scales. Applied and fundamental, as well as technological and exploratory issues related to light-matter interactions in the biological as well as bio-organic-inorganic hybrid systems at the nano and molecular scales are the increased focus of recent research in the field of nanobiophotonics. Tremendous development of the nanophotonics technology in the very recent past has resulted in interesting outcomes as well as has opened the scopes for thorough discussions on the future direction of this research field. This is therefore a perfect time for the involved scientists to discuss their current results as well as the future strategy for further developments. This workshop is planned to provide a platform where highly involved and motivated scientists, from Japan, the USA and France, would meet together for four days to discuss their recent research in the field of nanobiophotonics, and would consider the future scopes, future strategies, as well as the expected impact of their workon the society. Both the fundamental (molecular-fields interactions, detection and modelling, ..) as well as the applied (advanced bio-imaging techniques, nanophotonics, ..) aspects of nanobiophotonics will be covered in this workshop. In order to register, you need to pre-register first - a confirmation e-mail will be sent to you and you will then be able to proceed with the payment.